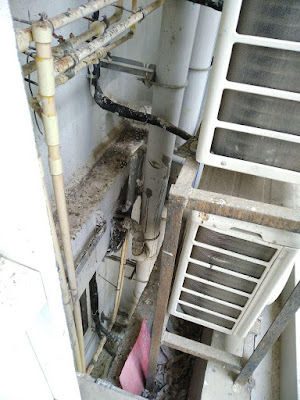 Mumbai, 9th December 2016: Vineet Malik, a flat-buyer in Ekta Parksville aggrieved by the interminable delay in project completion and occupation certificate, received a pleasant surprise a few days ago. 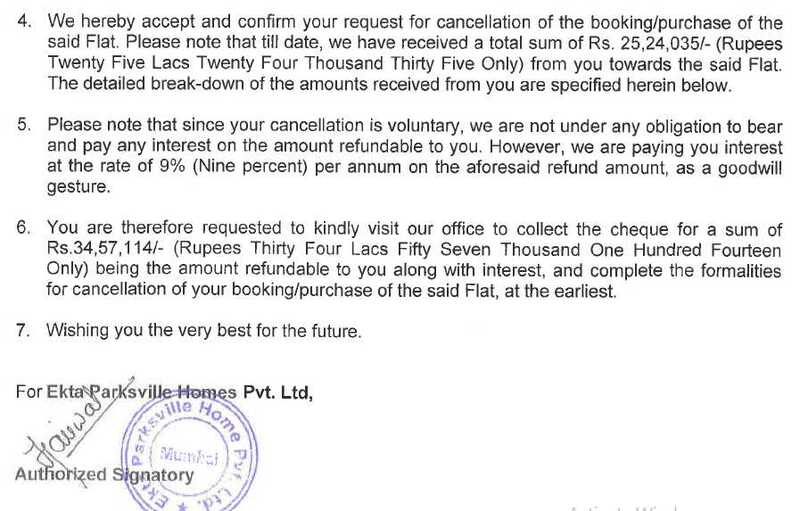 Ekta Parksville Homes Pvt Ltd sent him a letter that agreed to cancel the deal and refund the entire amount paid by him – Rs 25.24 lakhs – and additionally, interest of 9%. The total amount that Ekta World offered to pay is Rs 34.57 lakhs. This letter was received in the wake of patient exchange of correspondence and meetings by Vineet Malik with CMD Ashok Mohanani, plus mainstream media and social media coverage (especially our blog) and also my and Sulaiman Bhimani's meeting and negotiation with the builder's men on Vineet Malik's behalf. Ekta World's letter dated 3rd December 2016 proposed interest payment of Rs 9.32 lakhs to Vineet Malik. At first, this seemed like an extremely generous offer, and any aggrieved buyer should be thrilled by this success! But let us examine the issue a bit more closely. 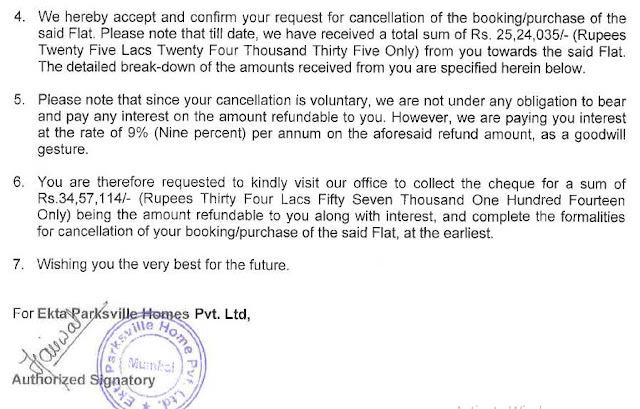 After a delay of more than three years (and counting) in delivering the agreed flat in the Virar project, Ekta World is, "as a goodwill gesture" agreeing to pay back the paid amount plus 9% interest. This rate of interest is no more than what he would have had to pay for a project loan. On the other hand, what is the penalty and interest that the buyer would have to pay Ekta World if he had slipped up in paying up his installments on time? Read this excerpt from the one-sided Registered Agreement. 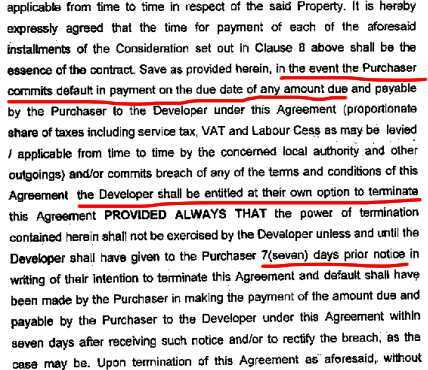 The agreement states Ekta World can terminate the contract after giving the helpless buyer only seven days notice, if he slipped up in paying even one installment! Not only that, he would further forfeit 20% of the total consideration i.e. Rs 5.2 lakhs. Read this excerpt from the agreement. 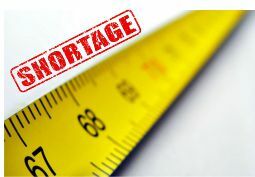 Further, in case the builder chose not to terminate the contract unilaterally, the interest payable by the buyer for the delayed payment would be 24%. Read this excerpt. So, 24% interest from buyer, 9% interest from builder. Does that sound fair? Vineet Malik doesn't think so. Therefore, this feisty investor is turning down Ekta World's generous offer of interest of Rs 9.32 lakhs for five years. He will continue fighting for his just and equitable dues i.e. 24% interest on the refunded amount. Hah haahaaahaa 9% generous goodwill offer . 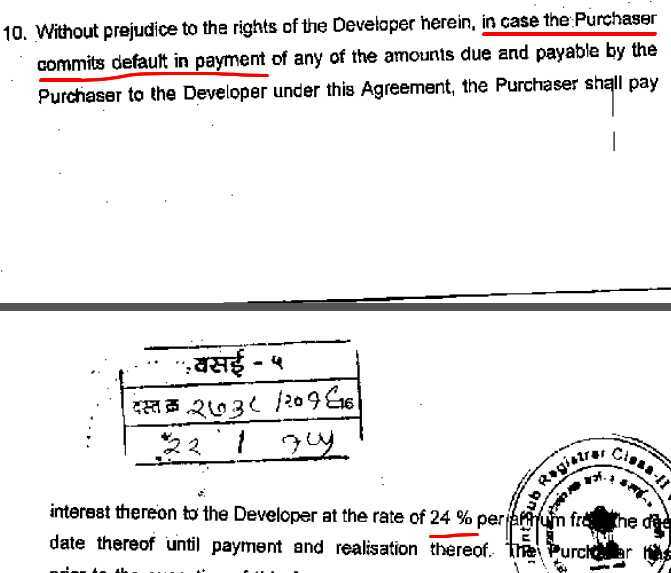 It reallyakes me laugh out loud.what does this builder think buyers are fool.9% is nothing for the mental agony and harassment for so many years and moreover if we think on the logical side if Mr vineet malik had taken a home loan and had been paying the installments this intrest rate would have barely covered it.if the builder charges 24% for delayed payment then he should also be ready to pay 24%for delayed project.this builder is very shrewd.